Members of the Elizabethtown Area Water Authority board toured the authority's new water treatment plant after the board's workshop meeting Wednesday night. The $5 million plant, located off Hummeltown Street, is nearly completed and will begin producing water for Elizabethtown and West Donegal Township residents this fall. Full disclosure: I am a member of the EAWA board, appointed as a Borough Council representative late last year when Ken Reighard resigned. The facility includes new administrative offices for EAWA, which currently is renting space at the West Donegal Township municipal building. It also includes a meeting room for the EAWA board's public meetings, which have been held in the township supervisors' meeting room. Most important, the new building features a state-of-the-art filtration system that treats and filters the water before sending it to customers. 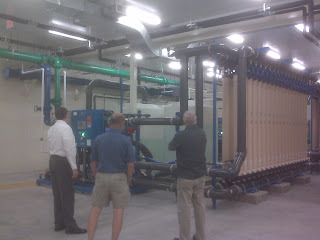 The system includes dozens of filters that are about 10 feet high and 6 to 8 inches around. 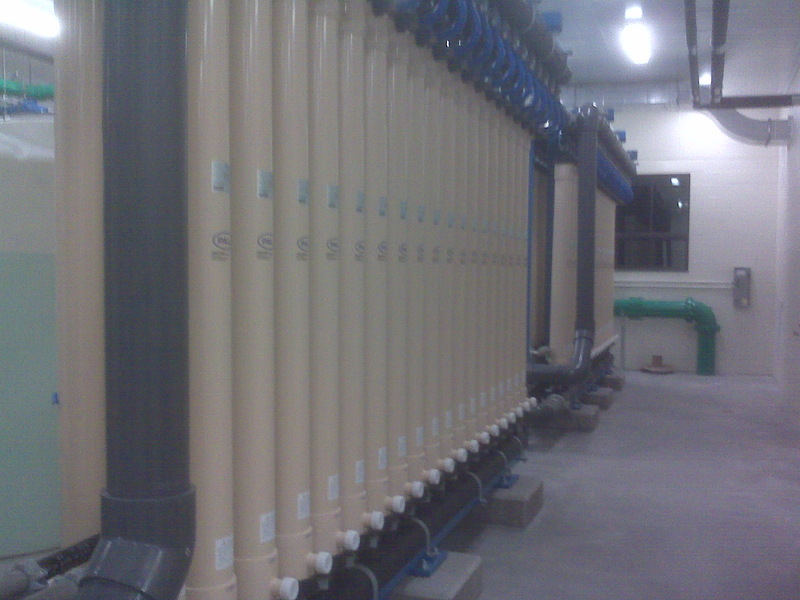 In each are tens of thousands of fibers that stop and filter contamination, including bacteria and viruses. 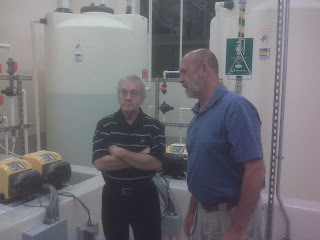 The plant is going through some final testing and evaluation before it will produce water for customers. By the end of September, EAWA's administrative offices will move to the new plant. The offices will be closed Sept. 27 to 30, reopening Oct. 1 at the new plant. 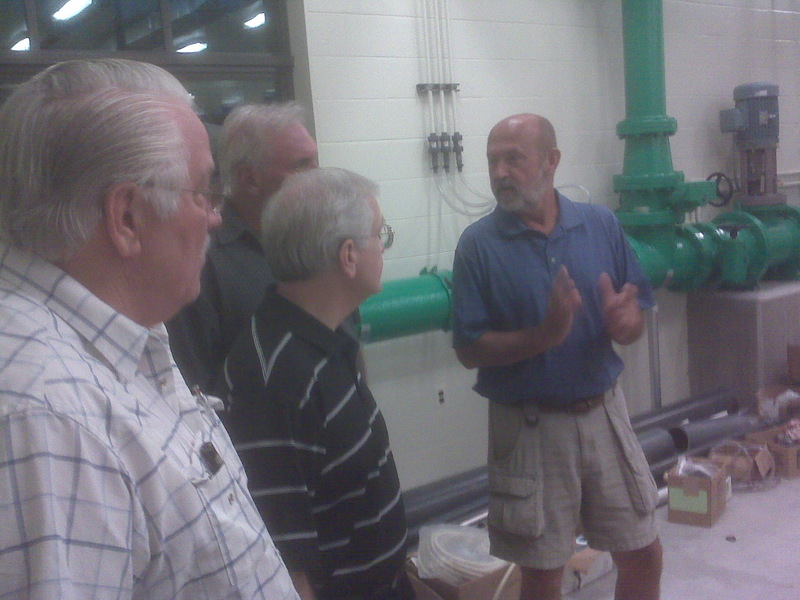 Wayne DeVan, EAWA's engineer, explains the filtration system to Dr. Dale Treese, center, EAWA's chairman, and Keith Murphy, vice chairman. Behind Treese is West Donegal Township Manager Nick Viscone. Below, DeVan discusses more details with Treese.